Seabourn Sojourn is ready to introduce you to stunning ports and harbours in pure luxury. In America, cruise from Seward or Vancouver to the icy landscapes of Alaska, take a beach break and discover the rich political and cultural history of Cuba, or cruise coast-to-coast with a bucket-list itinerary through the Panama Canal. For something a little closer to home, cruise Asia and the Southeast from Male, Singapore and Shanghai. For something a little bit unique, why not cruise Africa and the Skeleton Coast from Cape Town – a once in a lifetime itinerary. Discover the world on one of Seabourn Sojourn‘s World Voyages, with segments beginning in Cape Town, Miami, Singapore or Sydney. 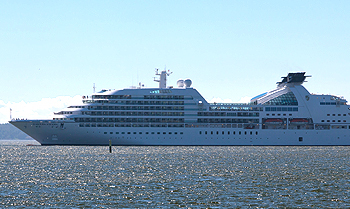 For more information on Seabourn’s World Voyages please see the World Cruises page. 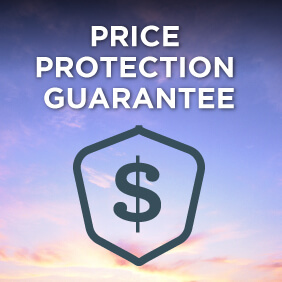 View all Seabourn Sojourn cruises, view a selection of Seabourn cruise deals or view more options for Seabourn cruises. The second of Seabourn’s new class of ships, Seabourn Sojourn, was also built at T. Mariotti yard in Genoa. Her debut was on June 6, 2010 in the middle of the River Thames in London. Seabourn Sojourn‘s godmother was the English fashion icon and actress Twiggy. Like her sisters, Seabourn Sojourn enchants her guests with an array of public areas scaled to encourage a relaxed sociability. One of the most unusual features of Seabourn Sojourn and her sisters is Seabourn Square, an ingenious “living room” that replaces the traditional cruise ship lobby with a welcoming lounge filled with easy chairs, sofas and cocktail tables. An enclave in its centre houses knowledgeable concierges discreetly seated at individual desks, ready to handle all sorts of business or give advice and information. The Spa at Seabourn is the largest on any ultra-luxury ship, 11,400 square feet encompassing indoor and outdoor space over two decks. A variety of open terraces are scattered over seven decks, offering places to gather with a few friends or spend an isolated hour with a book. The inviting sound of music, laughter and conversation accompanies the setting of the sun on board our ships. One thing is certain. The day is only just beginning when night falls aboard Seabourn. A favorite place for an early dinner is the Patio Grill. Open even if it is a bit chilly outside, crew members carefully wrap passengers in blankets, if needed. You will find the casino located on deck 5. So named because….well, because it is a delightfully different alternative. More intimate and innovative, R2 offers nightly tasting menus presenting diner with flights of small plates, combining an array of fascinating flavors and fanciful presentations in to a creative, delicious and memorable meal. Helping you create the perfect day is something we take to heart at Seabourn. It’s why our lounges and decks are open and inviting, the ambience relaxed and the variety of activities offered plentiful. You’ll find plenty of ways to create the perfect day, over and over again, and all the time to enjoy it. After all, this is your journey, and you can make it anything you want it to be. 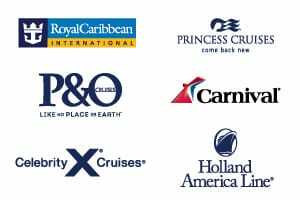 Many veteran cruisers specifically choose cruises that provide at least a few days at sea. Seabourn Sojourn will be a great choice for the sea-loving cruiser who craves that languorous feeling of lazy leisure. There will be loads of on board activities during those days, including a great game of bridge. Quest has a beautifully designed card room on Deck 7, forward of Seabourn Sojourn. Our Fitness Center features high performance Technogym equipment for cardio and strength training. We also offer a series of complimentary classes including yoga, Pilates and Tai Chi. Or, if personal attention is preferred, our personal trainers will design a nutrition and exercise plan that will help you achieve results. Based on your body’s particular needs, this personalized session will expose you to the wellness program that works best with your body. Aboard Seabourn Odyssey, Seabourn Sojourn and Seabourn Quest you may try the Kinesis System. Using a tri-dimensional pulley system, our personal trainers will guide you through a series of exercises designed to improve balance, flexibility and strength.